Five hours from Sydney by car or one hour by plane, Dubbo is a fascinating city with many attractions to explore. Located just five minutes from central Dubbo, ibis budget Dubbo is the ideal base for exploring the city and its surrounds. 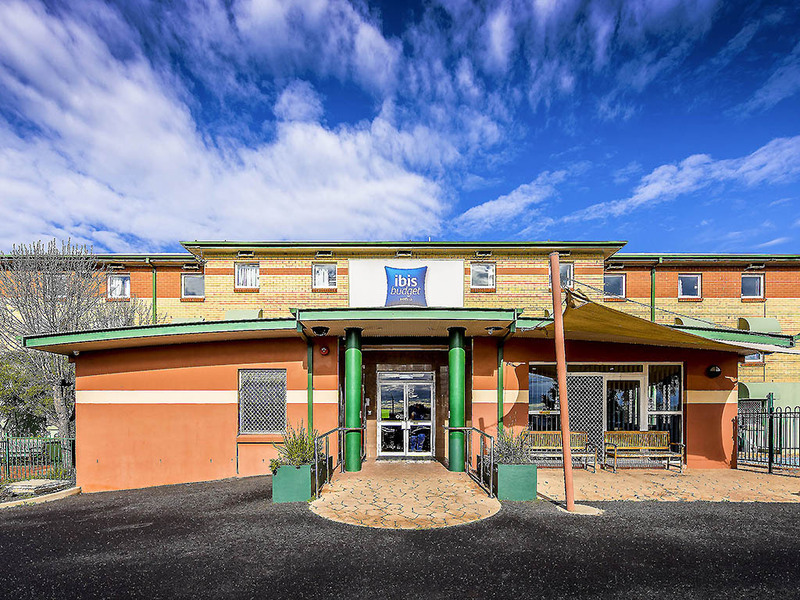 Guests staying at this convenient Dubbo hotel are within easy reach of Dubbo's shops, restaurants and bars, as well as Taronga Western Plains Zoo, Old Dubbo Gaol, Dundullimal Homestead, Dubbo Observatory, Shoyoen Sister City Garden and the Western Plains Cultural Centre. Staff were friendly and helpful - room was very small, and didn't like having throw away cups for hot drinks much rather have china cups that can be rinsed and reused. Friendly,rooms need updating I wouldn't stay there for a great length of time,carpet h ad holes and the cleaning wasn't good dust and hair all over. The chap who was in charge was more than helpful. We arrived and was quite surprised to learn that we had to go through the booking agency , which was in india. as I am a accor member.Why can:t you be book when you arrive. As I do not have any internet while we are driving I found it quite annoying. The man who was in attendance was more than helpful to us anyway. We had a great time! Everything went smoothly, and the room was very quiet and comfortable. Only thing I was not that happy with. Was the rooms are a little small. Other then that its great, close to town and the staff were wonderful. I gave an 8 only due to the room size. Other then that 10 out of 10. I initially tried to call the hotel for a room and the phone continued to ring out. I then decided to book a room online. I chose my dates and paid for the room. I was sent a confirmation which was for the FOLLOWING night. I frantically tried to ring the hotel back as we were driving into Dubbo at dusk and needed a room for that evening. I called maybe 10 times with no answer. I finally left a message in which someone did call me back about 45 minutes later. The room booking was changed to my correct dates and the receptionist was lovely and helpful on checkin. In the morning while we were having Breakfast, a number of guests asked us how to get a hold of reception as it was unattended. Very poor service. The staff were wonderful and friendly, the breakfast each morning was such great quality. The rooms were satisfactory and well kept. Great basic budget hotel for an overnight stop. I use this hotel regularly for an overnight stop- the rooms are pretty basic but they have an ensuite & tea & coffee supplies. . i find they are a bit small for a couple as the rooms are not overly large but for the price its excellent- good parking, pool, close to Hungry Jacks and a hotel next door that serves good meals and it is the closest hotel to the airport. Breakfast is available, snack machine and coffee machine . I appreciate the little extras they give me as an ACCOR member and will definitely be staying here again. As said, pretty basic but very popular and very accommodating staff. Dear Gypsy Thank you for staying with us and we hope to see you again soon. I booked last minute and found the service helpful & professional. Good clean rooms and quiet. whilst the room was clean, could not access wifi even though I tried at 5 am and late at night. The air conditioning system was very outdated and so of course was noisy. I realise you get what you pay for but having disposable cups to drink water and tea from is a bit extreme. there were not any spare powerpoints in the room. To plug in my charger I had to turn off the jug and make a choice between leaving the fridge on or the digital clock radio. Staff was extremely pleasant and helpful, room was spacious, clean, bed mattress very comfy. No issue .. front desk was also helpful.